In the recent years, the crimes in Delhi are increasing exponentially. The criminal activities do not just cover the violent crimes but also other frauds in matrimonial cases. 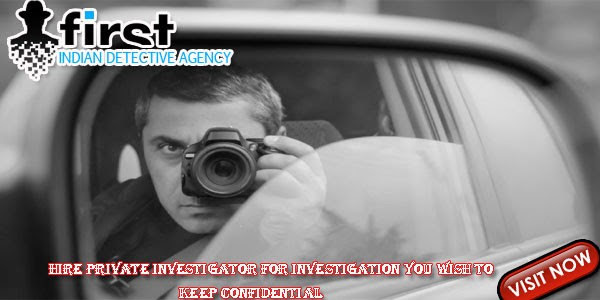 The First Indian Detective Agency has launched the services of Detectives in Delhi for all the kinds of investigations related to personal or corporate fields. FIDA works on “The Truth, the Service and the Complete Anonymity” and assures you to maintain the quality of investigation along with its codes of conduct. All the kinds of complex corporate and personal cases are handled by our professional detectives and investigators with sheer brilliance and dedication on a daily basis. We have an exceptionally satisfying experience to our clients and make their lives clear and away from their doubts with our resources. The latest comprehensive tracking software, analytical system, vehicle GPS tracking tool, advanced tools for the sting operations with other latest technological software assist our team in their investigation and bring out the clear truthful results backed up with valid documents and audio/visual proofs. If you need any help in investigations of small or big kind be it personal or any corporate financial embezzlement. Contact FIDA India and get your work done with perfection.